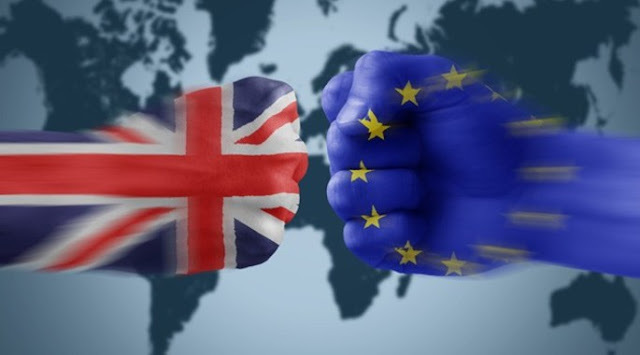 As a person who is moderately left wing, I side comfortably with the majority of people on the left when it comes to the EU; I believe that we do better when we work together with our neighbours to combat common borders such as environmental and defence problems. I also believe that we gain a lot more from the EU than is given credit for; especially as someone who seeks to go to university in September, the funding the EU provides to UK universities through research grants and schemes such as Erasmus, is vital, and something more students should be focusing on when campaigning. In contrast, the minority opinion on the Left, held by figures such as George Galloway and Kate Hoey is that we should leave the EU, and central to their argument is not on economic spheres or immigration. It regards democracy. Now, I don’t want to sound anti-democratic, because, put simply, I’m not. I believe in the democratic right of every citizen to be able to vote for what they think is right. However, Brexit’s ideas on democracy haven’t been properly addressed for fear of offence; ‘democracy’ is a word that in Britain is almost as sacred as the initials ‘BBC’ or ‘NHS’, and to question it is seen as sacrilege. It needs to be addressed before an unassailable moral argument occurs. Firstly, let us address the issue of the European Commission. The ‘muscles from Brussels’ is a name that strikes fear into the hearts of UKIP supporters everywhere; the ‘enemy of the very concept of democracy’, according to Farage. And yet the European Commission’s head has to go through a Parliamentary confirmation process to become President of the Commission, as do the Commissioners as a whole. The institution’s role is strong, admittedly, especially in initiating legislation, but this was the whole idea of the founders of the European Commission – to have a strong Commission to create a strong, coherent organisation. Without it, the day to day running of the EU would collapse. Added to this too, it isn’t like Britain lacks any influence in the Commission either. People seem to forget that Jonathan Hill, a former Leader of the House of Lords, serves on the Commission as Commissioner for Financial Stability, making sure, amongst other things, that banks follow new supervisory and regulatory rules. Surely having a Briton in this senior position is a good thing? The democratic system in the EU is not utopian, but those in British glass houses shouldn’t throw stones. Our electoral system has the potential to be one of the most unfair systems possible. You only have to look at the voting statistics for the UKIP, the Greens and the Liberal Democrats to see that it produces results where 3.8 million people can vote UKIP in exchange for zero national representation, in contrast to a ‘democratically elected government’ 63% of the country didn’t vote for. It is rich too to pour scorn on the idea of an unelected, unrepresentative body when our own House of Lords epitomises this. Recently, the smallest by-election in Britain elected a self-confessed ‘accidental politician’ Viscount Thurso elected to a hereditary peerage on the mandate of just three voters, at the cost to the taxpayer of £300. A bloated second chamber, who fail to properly represent Great Britain in terms of age, ethnicity, gender, geographically and educationally, who show the very essence of clientelism due their political appointments from politicians they should be holding to account, and who carry out their actions at an annual cost of £93 million should surely be the ones to target first. Elections to the European Parliament are not the most popular votes amongst the electorate, it has to be said. But whose fault is this? A country hell-bent on highlighting every minutia of one of the biggest institutions in the world has got to take some of the blame for this. The form of proportional representation used to elect to the European Parliament, incidentally, is one of the fairest systems used for British elections, allocating seats according to vote share. What are the alternatives to the ‘undemocratic, unaccountable Brussels bureaucrats’, then? The whole point of a Union is a coming together of nations in the pursuit of common goals. Yes, some of our laws are made by Brussels, but who can argue that many of these laws have been in the best interest of the nation and secondly the EU as a whole? Do we want a Human Rights Act as agreed by the European Convention on Human Rights and enshrined in British law, or instead a sovereign state leader tearing this up in favour of a dubious ‘British Bill of Rights’? Should we leave the European Regional Development Fund, which helps to fund the poorest areas of not just other parts of Europe but increasingly regions of Northern England, the South West and Northern Ireland, or leave this task to successive governments whose efforts haven’t been good enough in the first place. The phrase ‘taking back our sovereignty’ is used frequently by Brexiters, but when numerous parts of legislation actively help us, should we avoid their help for the sake of a concept that is increasingly watered down in an ever-globalised international society? Democracy is something we take pride in as an institution in Britain. But by allowing Brexit to take the moral high ground on the issues of the democracy of Britain in Europe, we risk letting them get away with criticisms that could be made about every liberal democracy the world over. Many people, including the late former Labour MP Tony Benn, favour leaving the EU, favour the abolition of the House of Lords (or its conversion to a wholly elected chamber) and favour electoral reform. I agree that we need electoral reform and favour reform to DPR Voting and I also favour leaving the EU. However, I personally favour a mainly appointed House of Lords (I think the Lords Spiritual, unlike the hereditary Peers, should stay). At least all Members of the Lords are appointed in Britain, by Britons for their service to Britain and the British, the same can hardly be said for the EU Commissioners. The House of Lords, due to the Parliament Acts of 1911 and 1949 and the Salisbury Convention, has severely restricted powers and is, in practice, now very much the Lower House. It only has the power to delay legislation for up to a year and to amend legislation, subject to the consent of the House of Commons. It is also worth bearing in mind that, not only is the EU anti-democratic, but we have so little influence in the making of EU law and EU decisions. We only have one EU Commissioner, we are the most overridden nation in the Council of Ministers and our own UK MEPs were unable to block 84% of motions they opposed by a majority from 2009-2014.